The change has health, environmental, and ethical benefits. The land of McDonald’s, turduckens, and hot dog eating competitions is consuming way less meat, according to a new report by the National Resource Defense Council. Between 2005 and 2014, beef consumption in the US dropped by 19%, a significant decline that could be part of an enduring trend of more conscientious food consumption. The NRDC didn’t investigate why people were eating less meat, but the environmental benefits are clear. Beef has the largest ecological footprint of any food from almost any angle. Raising livestock requires vast amounts of land, feed, and water. Agriculture in general generates around 15%-20% of global emissions, the bulk of which comes from livestock. 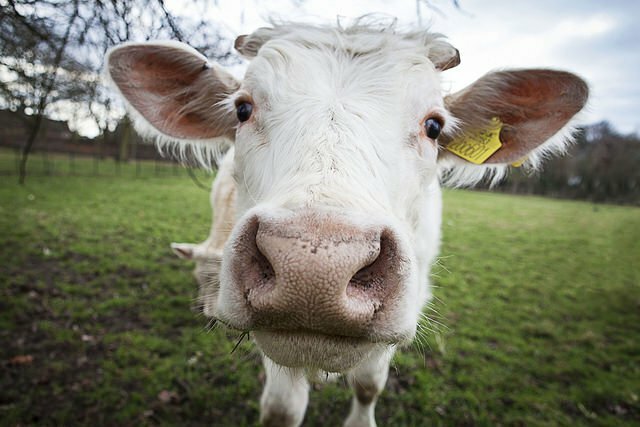 Cows produce an even greater proportion of methane, a gas that is more heat-trapping than carbon. The resulting drop in emissions caused by less meat is equivalent to 39 million cars being removed from the roads, according to the group, which based its findings on data collected from the USDA. Most Americans said they were eating less steak, hamburgers, meatloaf, and other types of beef, because it was too expensive or because they were getting protein from other sources like chicken and tofu, according to a separate survey conducted by the research firm Mintel. About 25% of those interviewed cited health concerns for this dietary change. In recent years, mounting evidence has linked meat to a range of health problems, including cancer, heart disease, and more. Pork and chicken consumption also fell but not as sharply as beef. The general decline could signal a transition in a country that has the 2nd-highest per capita meat consumption in the world, at 198.5 pounds per year per person. US citizens also cut overall emissions by consuming less orange juice, whole milk, high fructose corn syrup, and frozen potatoes. 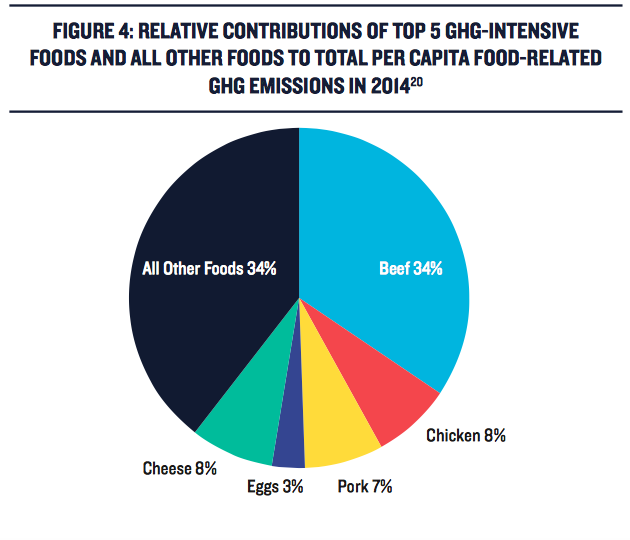 The NRDC isn’t flat-out telling people to stop eating meat. Instead, they’re encouraging people to eat responsibly raised meat. For instance, the predominant factory farm method of raising livestock in confined areas on a diet mainly of soy and corn is far more environmentally harmful than traditional methods that involve open-field grazing. There’s also, of course, an ethical dimension to all of this. Factory farms inflict tremendous suffering on animals. The farther societies move from this model, the better.